What Or Who Holds You? “Are you gonna’ apply to this job opening?” I texted my husband upon seeing some printed papers for a supervisory position. I knew the answer might not come quick as he could be busy at work. After a few minutes, he did. He advised it was a little far from where we lived. I saw it, too. Asking how I was doing at home in my solitude, he called me to reiterate what he already had told me regarding the distance. I told him I was okay. Half-way in my chores. Pausing to read the morning’s breaking news until I saw those papers. As we both had gone through different storms in our lives, walked together in the deepest and darkest valleys, we had learned so much from those trials. As the Good Shepherd had found us many years ago, wandering aimlessly and living our lives, worried about the things of this life, through those unexpected storms, we learned…Nothing in this world last. Nothing is constant. The very things we had that we worked hard for could disappear. Could be taken away. Just like that. 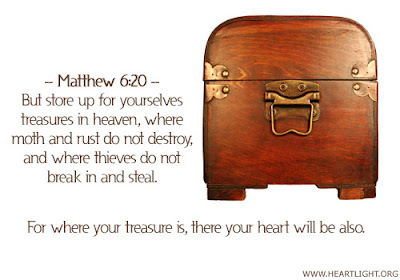 The treasures we both found were not material things. Jobs. Money. House. Cars. None of those we had could ever give us complete and true happiness. None of those could ever make us feel contented. For if we are not careful…the things we own or possess are actually the ones who can have a hold on us. Through trials and God’s truth, we both know…we should remain holding on to that “hope.” Hope that rests on faith. Hope that never perishes. Hope of an eternal life promised by Jesus Who doesn’t lie. We both know…it is only God’s hold on anyone that never lets go…He Who is constant. True. Faithful.